Ask almost any Marylander and he or she will tell you right away: Maryland owns the Potomac. Not just to the middle, but the whole river to mean high tide on the Virginia shore. In fact, back in the 50s, when slot machines were legal in Maryland but not in Virginia, a few enterprising souls extended piers into the Potomac at Colonial Beach and put gambling parlors on them to tap the Virginia market. 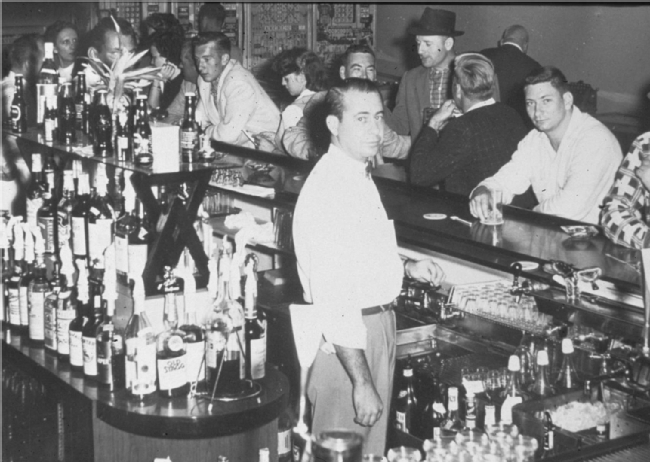 That ended in 1958 when Virginia asked Maryland to limit slot machine gambling, but you can still go to Colonial Beach and drink in a St. Mary's County bar out on the pier. 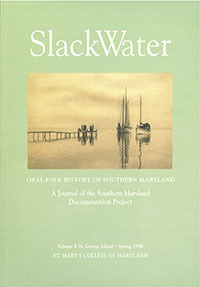 Unto the true meridian of the first Fountain of the River of Pattowmack, thence verging toward the South, unto the further Bank of the said River, and following the same on the West and South, unto a certain Place, called Cinquack, situate near the mouth of the said River, where it disembogues into the aforesaid Bay of Chesapeake. The line created by the Charter became a source of disagreement between Maryland and Virginia almost immediately and remained so throughout the colonial period. Following the American Revolution and the adoption of the Articles of Confederation, a delegation of Marylanders and Virginians met first in Alexandria and then at Mount Vernon to consider the two states' mutual interest in the Potomac. Out of those meetings emerged the Mount Vernon Compact, or Compact of 1785, which recognized Maryland's sole jurisdiction of the river but gave Virginia certain rights of use. Initially hailed as a success, the Compact of 1785 left many issues unresolved while others could not have been foreseen. 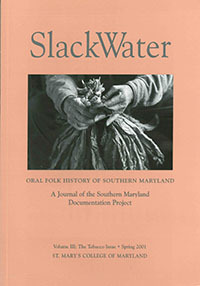 Perhaps the most famous issue was the Oyster Wars, which in part involved border disputes between Maryland and Virginia. 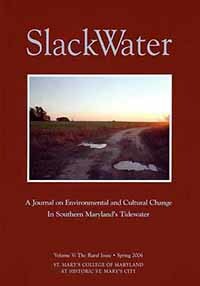 Maryland found it difficult to regulate the Potomac River's natural resources, particularly the oyster, without Virginia's cooperation, and that cooperation was not always forthcoming. 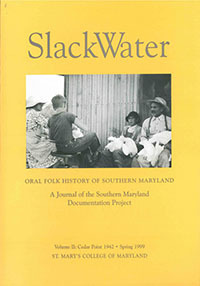 For more on the Oyster Wars and the history of the Chesapeake Bay oyster, be sure to see SlackWater, Crassotrea Virginica (Volume IV). 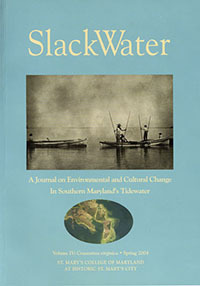 In 1957, then-Delegate J. Frank Raley proposed that the state rescind the compact that had bound Maryland and Virginia for nearly two centuries and instead create a bi-state commission to regulate the river. The Potomac River Fisheries Commission was created following the adoption of the Potomac River Compact of 1958, a petition to referendum by Maryland, and, finally, in 1962, ratification by Congress. That petition to referendum in Maryland? Many Marylanders, especially those from St. Mary's County, felt that the 1958 Compact literally gave the Potomac River away to Virginia. In the first essay, below, the late Walter Dorsey, former States Attorney for St. Mary's County, recounts his disappointment with the 1958 Compact. The second essay describes a more recent skirmish between the two states, this time before the U.S. Supreme Court. In The River, as told by Clem Cheseldine to Andrea Hammer. 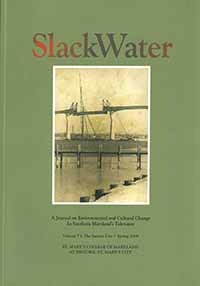 J. Frank Raley recalls his involvement in the Potomac River controversy. 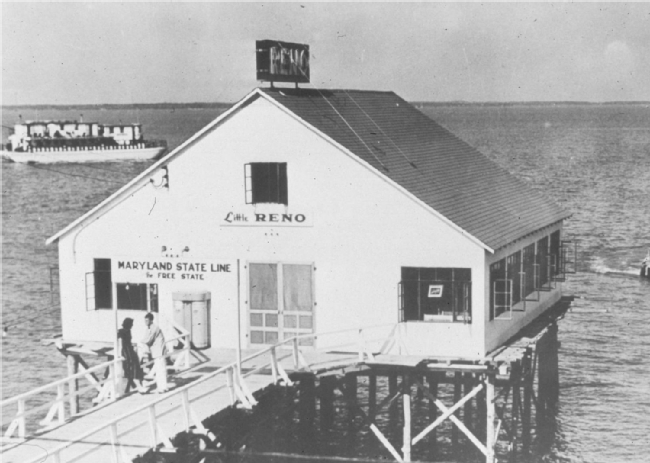 A St. Mary's County Casino accessible (via pier) from Colonial Beach, Virginia. College of Southern Maryland. Inside a Maryland gambling den off the shores of Colonial Beach, Virginia. College of Southern Maryland.